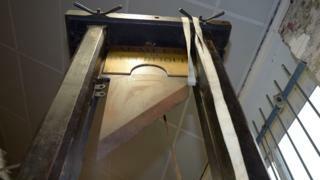 A guillotine has fetched €8,008 (£7080) at a controversial auction in Paris. The 150-year-old replica of a device used for executions was bought on Wednesday by a French millionaire and collector of bizarre objects. France’s auction watchdog was opposed to the sale, despite the auction house insisting that the 3m (10ft) instrument in question had never been used. The guillotine was last used to behead a convict in 1977. France abolished the death penalty in 1981. The replica, which has a few dents on the blade, was once on display at a museum of torture in Paris. 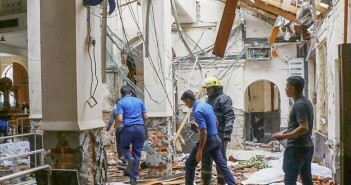 It was part of a bankruptcy sale of a jazz club that took over the museum’s premises. “They should not be selling this guillotine,” a spokesperson for the French auction regulators told the Parisien newspaper. However, the auction watchdog was unable to block the auction, which lasted only two minutes. Industrialist Christophe Février doubled the starting price of €4,000 (£3,535). Real guillotines have been put to auction in the past. One sold for €220,000 in Paris in 2011. Another, initially valued at €40,000, failed to sell in the western city of Nantes in 2014. The guillotine was first used during the French Revolution, with 16,000 people beheaded between 1973 and 1794, most notably King Louis XVI and Queen Marie Antoinette.